Manufacturer of a wide range of products which include lemon cilntro sauce premix, bechamel sauce premix and demi glace sauce premix. We are offering Lemon Cilntro Sauce Premix. 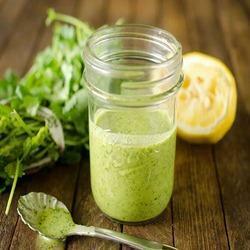 Description: lemon cilantro sauce is the unique south-east Asian sauce. It offers a nice balance of lemon followed by the spicy note of ginger, garlic & green chillies. Ingredients: sugar, acidity regulators [e 262 (ii), e 334], modified starch (e 1442), salt, stabilizer ( e 415), spice & condiments. Applications & recommended usage: add 20 gms. To 20 ml. Of warm water stir well till the powder is completely dissolved. Packaging: 500 gms. Aluminum pouch packed in the master carton of 20 kg( net weight) or as requested by the customer. Shipping & storage: shipping and storage temperatures should not exceed 40°c. Storage should be in clean & dry place. Shelf life: 6 months when stored as recommended in its original packaging. We are offering Bechamel Sauce Premix. We are offering Demi Glace Sauce Premix. 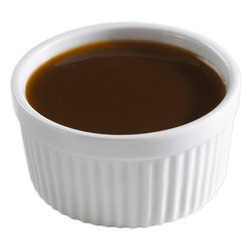 Description: Demi Glaze Sauce Premix Provides A Savory Profile Similar To That Of A Conventional Demi Glaze Sauce. It's 100% Vegetarian. It Is A Light Brown Coloured Free-Flowing Powder (a Few Soft Lumps Are Permissible). Ingredients: Malto Dextrine, Fat Powder, Hydrolyzed Vegetable Protein, Modified Starch ( E 1442), Yeast Extract, Salt, Onion Powder, Garlic Powder, Tomato Powder, Acidity Regulator [ E 262 (ii) ], Stabilizer ( E 415), Taste Enhancer ( E627), Anti Caking Agent ( E 551). Contains Permitted Natural Colour ( E 150 B). Applications: This Product Is Excellent When Used In Culinary Applications Such As Sauces, Dips, Dressing, Soups Etc. 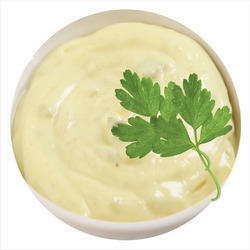 It Blends Nicely With Different Dressings/Sauces Such As Mayonnaise, Bechamel Etc As Well. Recommended Usage: Add 7.8 Gms. To 40 Ml. Of Water. Boil For 1 To 2 Minutes Till Sauce Thickens. Looking for Sauce Premix ?